NIAGARA FALLS, ON – Niagara Brewing has announced the upcoming return of a limited edition beer that pays tribute to another beverage the surrounding region is well known for. Combining the complex tastes of wine with bubbly beer, our Niagara Icewine Beer is a one-of-a-kind brew that both beer and wine lovers are sure to love. 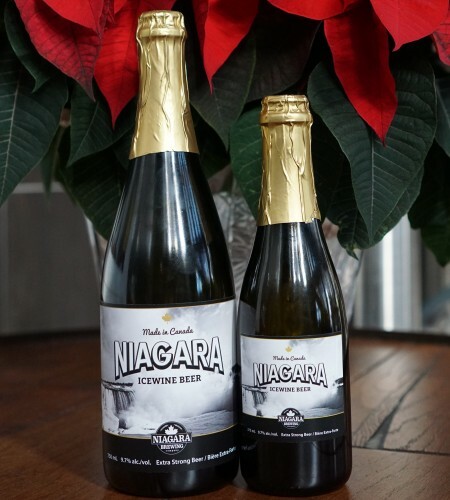 The Niagara Icewine Beer offers an intense icewine aroma on the nose, which is followed up by a malty cereal grain effervescence and a lingering tropical fruit sweetness. The 2018 edition of Niagara Icewine Beer will be available soon at the Niagara Brewing retail store in 375 ml and 750 ml bottles, and on tap in brewpub, while supplies last.